The Everglades was America's last frontier, a wild country long after the West was won. 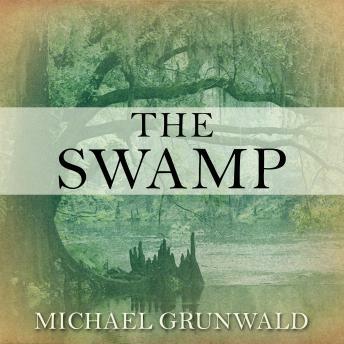 In this book, Michael Grunwald chronicles how a series of visionaries tried to drain and 'reclaim' it, and how Mother Nature refused to bend to their will; in the most harrowing tale, a 1928 hurricane drowned 2,500 people in the Everglades. But the Army Corps of Engineers finally tamed the beast with levees and canals, converting half the Everglades into sprawling suburbs and sugar plantations. And though the southern Everglades was preserved as a national park, it soon deteriorated into an ecological mess. The River of Grass stopped flowing, and 90 percent of its wading birds vanished. Now America wants its swamp back. Grunwald shows how a new breed of visionaries transformed Everglades politics, producing the $8 billion rescue plan. That plan is already the blueprint for a new worldwide era of ecosystem restoration. And The Swamp is a cautionary tale for that era. Through gripping narrative and dogged reporting, Grunwald shows how the Everglades is still threatened by the same hubris, greed, and well-intentioned folly that led to its decline.